Over 200 record labels withdrawn from Napster and Spotify | What Hi-Fi? More than 200 record labels are set to remove their content from Napster and Spotify, blaming the music services for harming digital revenues. The move comes after STHoldings, a distributor of 238 record labels, announced it would be pulling its content from the services. STHoldings said in a statement today that it has "concerns that these services cannibalise the revenues of more traditional digital services". The company handles distribution for some of the most influential labels in dance music such as Prolific, Boka and Hessle Audio. The statement from STHoldings said it had the full support of the vast majority of its labels: "As a distributor we have to do what is best for our labels. The majority of which do not want their music on such services because of the poor revenues and the detrimental affect on sales." Only four of the 238 labels represented have asked to remain on the streaming services. 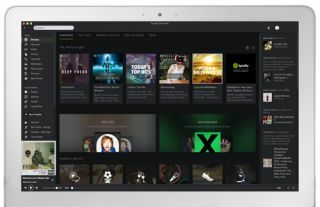 A recently released study by NPD Group and NARM, shared with Digital Music News, which suggested services such as Spotify "increase access but decrease spending". Coldplay recently decided against putting its latest album on Spotify and subsequently enjoyed record sales. Whether this marks a slow shift away from streaming services, especially by smaller labels, remains to be seen.